After launching Bullet Trials Works Replica bikes in India, Royal Enfield has finally introduced Bullet 350 & Bullet 350 ES with a single channel ABS along with rear protection. The single-channel ABS backed Bullet 350 and Bullet 350 ES are priced at Rs 1.21 lakh (ex-showroom Delhi) and Rs 1.35 lakh (ex-showroom Delhi) respectively. 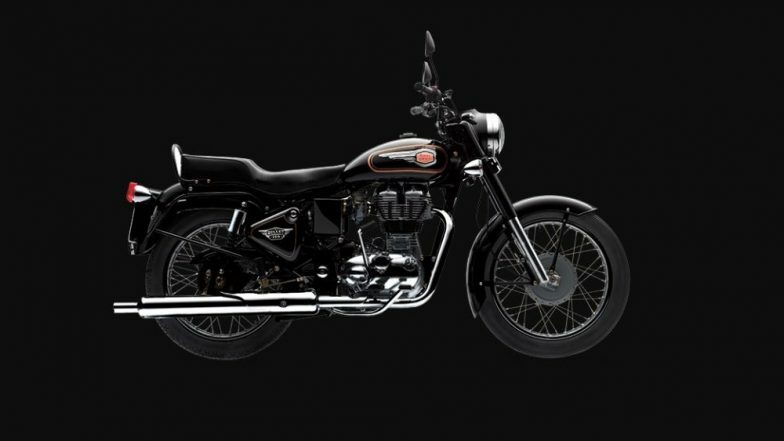 The Chennai-based two-wheeler manufacturer rolled out the ABS version of Bullet 350 models because the new two-wheeler norms have kicked-in which requires all the two-wheelers to feature either CBS or ABS depending upon the engine displacement. It is interesting to note that Royal Enfield Bullet 350 versions get a single channel ABS only. Royal Enfield Launches Bullet Trials 350 and 500, Priced at Rs 1.62 Lakh and Rs 2.07 Lakh; Watch Video. As far as the specifications are concerned, both Royal Enfield Bullet 350 and Bullet 350 ES are powered by the same 346cc, single cylinder, air cooled Twinspark engine. The engine is capable of churning out maximum power of 19.8 bhp along with peak torque of 28Nm. The unit is mated to a 5-speed manual gearbox. It is important to note that the Royal Enfield Bullet 350 is expensive by Rs 3500 than the non-ABS version whereas Bullet ES 350 is around Rs 1400 expensive than the non-ABS model. This price hike is particularly due to addition of single channel ABS on the motorcycles. If the company would have added dual-channel ABS on the bikes, the prices would have increased by around Rs 10,000 or so. Moreover, Bullet 350 comes with 280mm disc at the front with a 2-piston calliper whereas the rear wheel features 153mm single lead drum brakes. On the other hand, Bullet 350 ES feature disc brakes at both the ends, it still gets single channel ABS. With the addition of ABS on Bullet 350 and Bullet 350 ES, the entire range of Royal Enfield is now equipped with ABS.